They’ve been given more time than you’d think. What with coaching changes, free agents, and top level draft picks being brought into the mix fresh every season, one can be forgiven if they don’t realize that for the majority of the young players that the Colorado Avalanche consider its core, this season will be their fifth together. Let that sink in. For perspective, the Chicago Blackhawks, a team that Avs fans like to think their organization can mimic, already had a Stanley Cup under their belt when the one-two punch of Jonathan Toews and Patrick Kane entered their fifth year together. In fact, they’d add a second Cup to their total in just their sixth season together. That’s a far cry from Colorado, who shocked the world two years ago in the debut season for head coach Patrick Roy. That year, the Avs climbed to first place in the most vaunted of the new divisions in the NHL, ahead of both the Blackhawks and the powerful St. Louis Blues, before falling in a sobering seven game series to the Minnesota Wild and crashing back down to earth the following season to finish dead last in the exact same division. Considering the many holes that were largely ignored as Colorado paced the Central Division in 2013-14, perhaps the club’s fall should have been more widely expected in the Mile High City. But by and large, everyone was in agreement that the growing pains of last season would be worth it when 2015-16 rolled around. 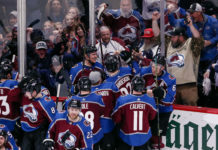 But with the preseason finished and the Avalanche poised to host the Wild at Pepsi Center Thursday night, perhaps it’s time to wonder whether or not this is the group that will lead the Avalanche back to prominence. Semyon Varlamov, Matt Duchene, Gabriel Landeskog, Erik Johnson and Cody McLeod have played four full seasons together as a group. Add in Tyson Barrie and John Mitchell as guys who have played at least three seasons with that crew in Denver. Even young Nathan MacKinnon and defenseman Nick Holden will be entering their third respective seasons with the club – the magic number where Chicago notched their first championship with their own young, homegrown talent. Not to burst anyone’s bubble, but the odds of the Avalanche equaling that feat this season are somewhere between slim and none. Even team president Josh Kroenke has indicated that the team is probably more in line to compete for the playoffs than to compete for the division title as they did two seasons ago. Still, it is important for Colorado to “turn the corner” in 2015-16. As spelled out above, it’s easy to think that this group just needs more time and seasoning, especially when the second-longest tenured Avalanche player in the above group is the 24-year-old Duchene. 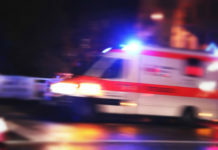 Some might even say that another year of missing the playoffs is an acceptable result for a team that is just trying to “rebuild.” But if the core of your team isn’t coming together in three, four, even five seasons as a unit, it’s hard to imagine many owners or general managers having the stomach to go it again with the same group for another year. Prize free agent pick up Francois Beauchemin isn’t getting younger at 35. The same goes for the also-35 Alex Tanguay. And who knows how many 30(ish)-goal seasons 38-year old Jarome Iginla has left in the tank. NHL teams in the salary cap era build quickly through the draft, compiling young players to compete at a Stanley Cup level within a few seasons before cap constraints force them to choose who to keep and which areas of the team will need to be rebuilt. The Blackhawks had to cut ties with key pieces like Dustin Byfuglien, Patrick Sharp and Johnny Oduya for the price of their Stanley Cup victories. The Avs already had to let Paul Stastny leave and ship off Ryan O’Reilly (among many others), but they have very little in the way of NHL accomplishment to show for their own efforts. 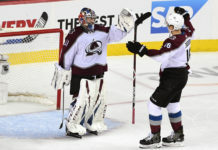 While fans may hope that the Colorado Avalanche make significant strides this upcoming season, there seems to be very little urgency for the club to take a step forward in their progression. 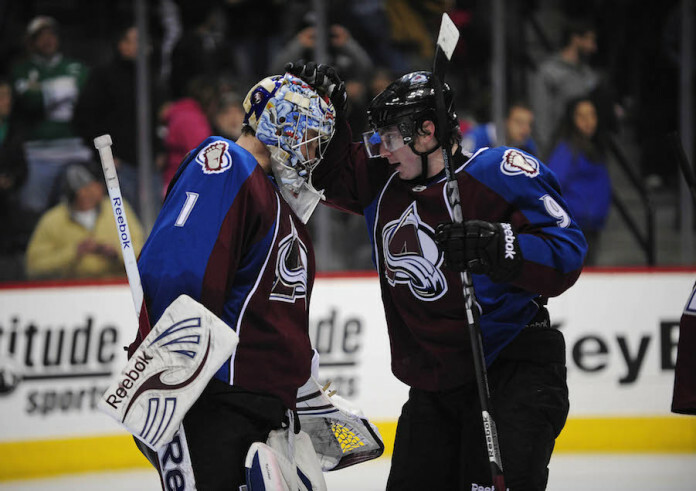 Patrick Roy came to Colorado heralded as a savior. It’s about time he came up with something more than pulling his goalie with five minutes to play. The hockey world may not have high expectations for the Avs this year, but that doesn’t mean you shouldn’t. The team has to perform significantly better this season. They’ve been given more time than you think.